A cancel, as the name suggests, is part of a printed book (often a single leaf, or double-sided page) that cancels and replaces what has already been printed, to correct an error in the printing. A cancel leaf (or cancellans, Latin for the thing that cancels) can often be detected from the stub of the original leaf, the cancelland (or cancellandum, Latin for the thing to be cancelled), which is left in place when the offending leaf is cut away from its partner, or conjugate, leaf (as illustrated in A is for Alphabet). The corrected single leaf is pasted onto this stub. Finding a stub, and therefore a cancel, brings out the detective in cataloguers: what was there before, and why did it have to be removed? If the collection contains two copies – before and after – that certainly helps answer the question, as shown in these images. Spot the difference? The clue – apart from the stub – is in the signature a3 (see A is for Alphabet) and the number of lines, which have been increased from 12 to 13 to accommodate the full splendour of the aristocratic dedicatee’s name. 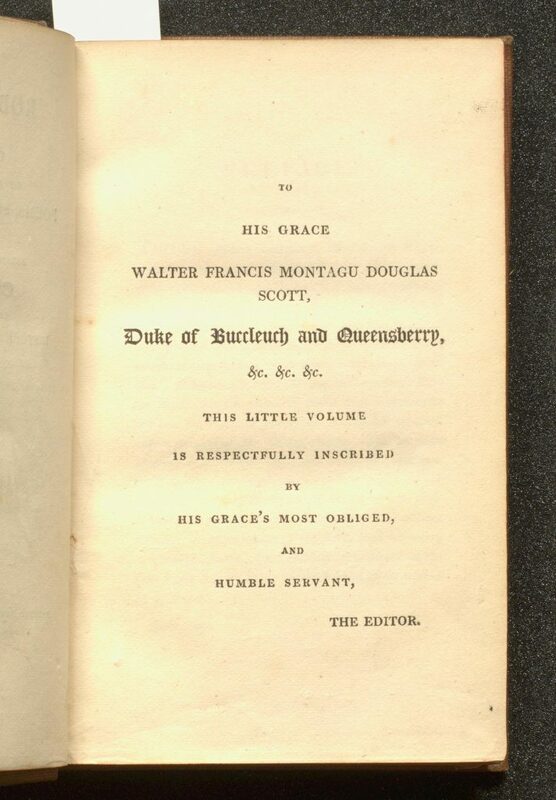 One of the commonest reasons for printing a cancel leaf was to make a change to the title page: to update unsold copies of a book, or for a new publisher to put their imprint on copies of a title taken over from its previous publisher. 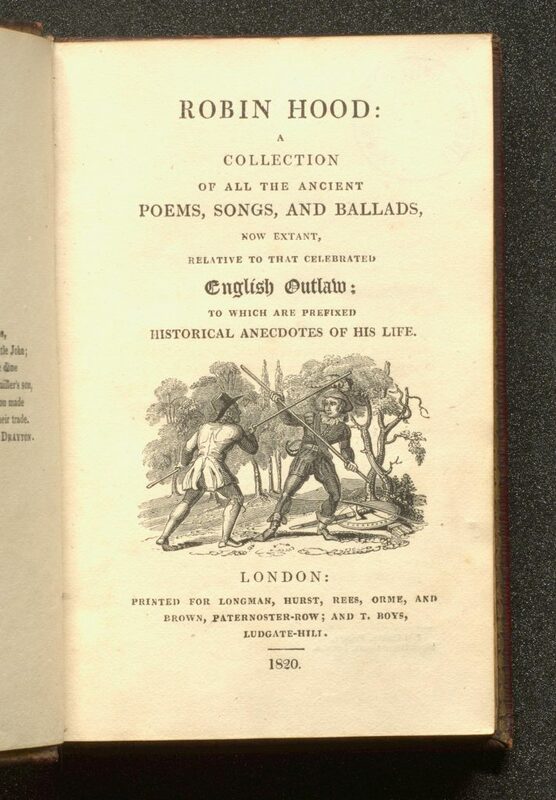 A famous example of the latter is the first publication of the Brontës’ poems in 1846. 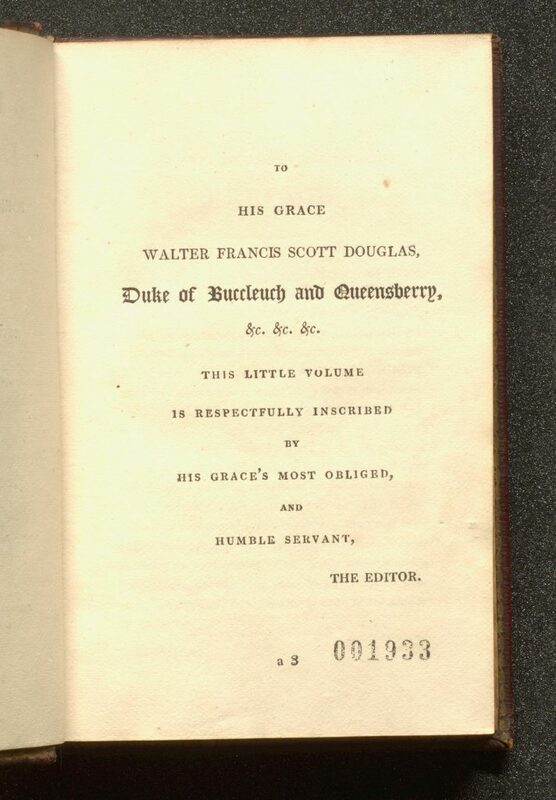 Despite the ruse of disguising their gender to counter anti-female prejudice, the first edition sold only two copies. 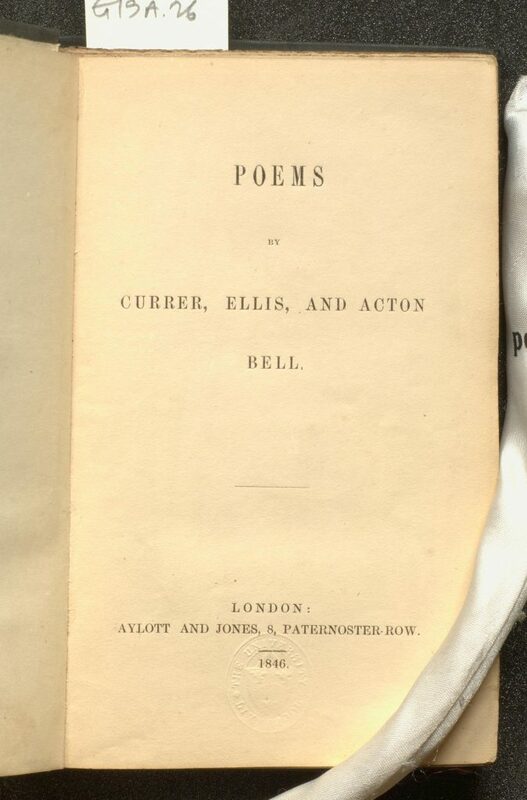 In 1848, following the success of Jane Eyre, and Anne and Emily’s novels, the publisher Smith, Elder & Co. republished the poems with a new title page (but with the original date). 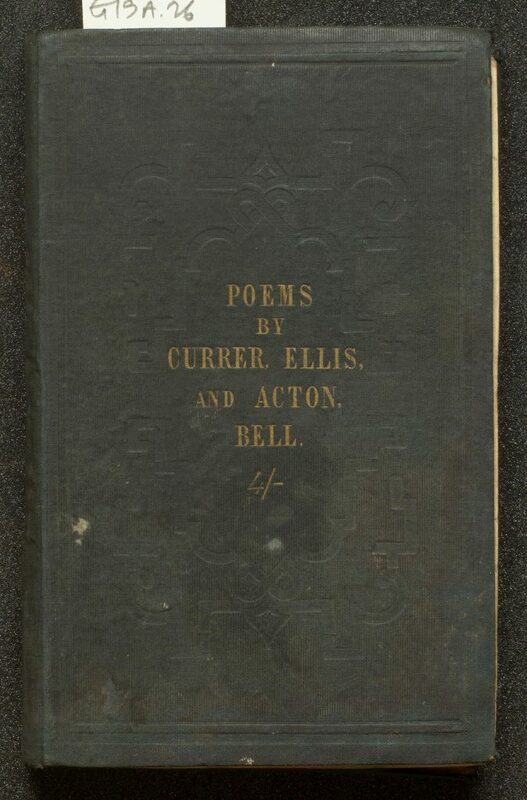 The newly issued books had a leaf added before the new title page advertising ‘Prose fictions by Currer, Ellis, and Acton Bell’ and Smith, Elder, & Co’s May 1848 ‘List of new books by popular authors’ is bound in at the end of the volume. School of the Arts student, Catherine Tully, celebrates the life of one of the world’s greatest writers. 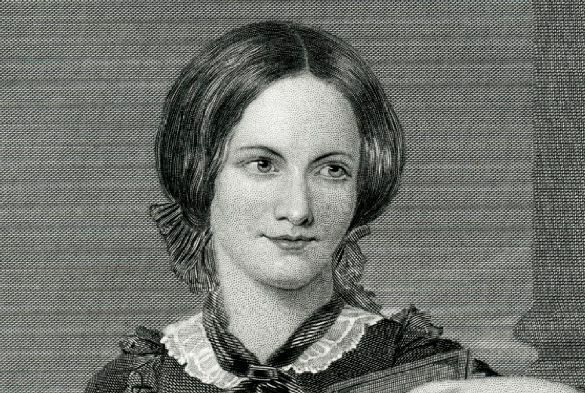 “This year marks the Bicentenary of Charlotte Brontë – the first of the famous Brontë sisters to celebrate her 200th birthday. Despite her tragically short life Charlotte Brontë made a lasting and notable impression on the English literary canon. 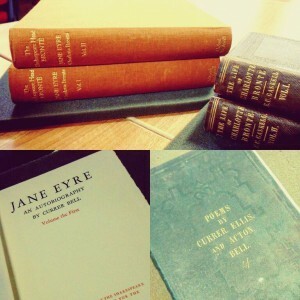 She published four full-length novels: Shirley, Villette, The Professor and her most celebrated masterpiece, Jane Eyre. Determined to write at a time when female authors were not received as favourably as men, Charlotte along with her sisters Anne and Emily published her works under a pseudonym – Currer Bell. Her newfound anonymity meant she could use her writing to bravely contradict society, continue to create intelligent and genuine heroines and create a voice for oppressed women. Charlotte is often considered the first modern woman of her time. 200 years after Charlotte’s birth her novels are still widely read and studied globally. Jane Eyre in particular receives enormous critical acclaim. Dr Lisa Regan, from the University of Liverpool’s Department of English, shared her thoughts on the success of Charlotte’s novels and their relevance for current society: “Jane Eyre is the triumph of the social underdog, and its fairytale ending continues to resonate powerfully with readers today. “Jane represents the socially isolated individual looking for a way to defy oppression, overcome barriers and discover her path to self-realisation and belonging. “It always puzzles me why we lack films of Villette and Shirley. Perhaps it’s because they both, in their own way, deny readers a straightforward happy ending. In fact, Brontë invites readers to take up their spectacles and find the happy ending for themselves. The Brontë sisters are remembered at their family home, The Parsonage, now a museum, which plans to hold events over the next five years to celebrate Bronte200, which marks the 200th Anniversaries of Charlotte this year; Branwell in 2017; Emily in 2018; and Anne in 2020. Dr Melissa Raines, from the University’s Department of English, said: “The relevance and the impact of Charlotte Brontë’s novels come, I think, from the fact that there is something incredibly human about them. “I absolutely love it (the Parsonage Museum) and have even, half in jest but half in seriousness, talked about it as a pilgrimage of sorts. I suppose that at the most basic level, I go because I want to feel connected to the Brontës themselves. It’s a natural impulse, I think. 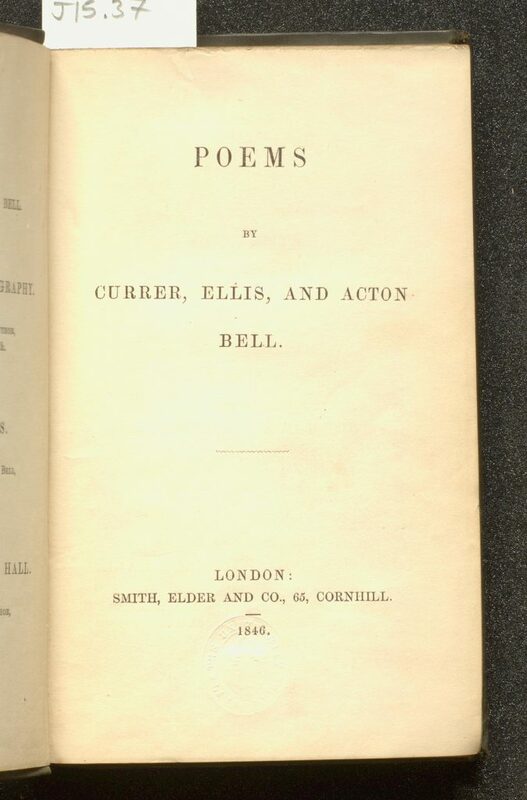 Recently recatalogued, and celebrating its 170th birthday this month is the University of Liverpool copy of one of a handful of copies known of the 1846 first edition of Poems by Currer, Ellis, and Acton Bell.